Full service custom window treatment company. We handle everything from the initial consultation to the professional installation. Susan Feher Smith Custom Interiors installing custom window treatments in the Greater Washington DC. Baltimore and Annapolis area since 1994. Susan’s designs are known for combining function with beauty and latest technology for energy saving and privacy control. Glamorous or simple, one window or an entire home our window treatment creations are sure to delight! Through Susan’s extensive travels and European upbringing her beautiful materials selections are collected from around the world and one of the Custom Interiors designers will bring it right to your home or office! Relaxed, convenient, free in home design service, expert local fabrication, professional installation will turn your visions into the rooms of your neighbors envy. Our functional, budget friendly drapes with fast turnaround time are all-time favorites for residential, and commercial installation as well. Ask us about our popular drop ship blind services! Your trusted window treatment professional. Founded in 1987, our top management has been involved in this industry for over 25 years. Throughout the years, we have been able to offer our valued customers quality and innovative products at reasonable prices. Owner, Sia Harandi, attended George Washington University, and earned a Mechanical Engineering degree in just three years. After a very successful run in the insurance industry, Sia decided that he wanted to work for himself. After making a connection in the blinds and shutters industry, he founded Pink. Since 1987, Sia has been building a brand that’s devoted to his customers and to his family. 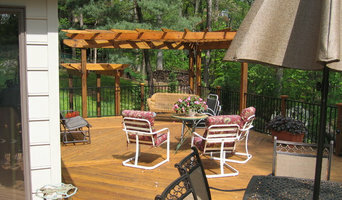 His customers can expect top quality materials, installation, and care as a result of his industry connections and uncompromising demand for quality. Like many families across the country, Sia’s has experienced cancer-related hardship and loss. That’s why Pink donates a portion of all proceeds to the American Cancer Society every year. At Pink, business isn’t just about profit; it’s about delivering an exceptional product and improving lives. 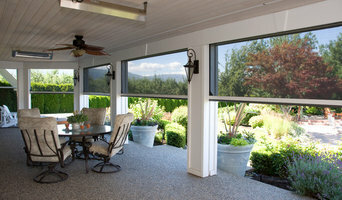 Blinds can dramatically enhance the aesthetics of a home. Not only can they be the perfect element to promote a certain feel, but they can marry the interior and exterior by highlighting a gorgeous view. They can save money on both heating and cooling: did you know that blinds and shutters can enact as much as a thirty-degree temperate difference? Pink is passionate about blinds and shutters, and uncompromising in delivering beautiful craftsmanship for your home. No one can beat out prices. We have manufactures to create our own brand of window treatments and have great relationship with other manufactures. In his spare time, Sia is an avid athlete. Between golf, soccer, and tennis, he is both a player and a coach. Part of his business acumen and success comes from his tenacity and ambition to succeed, and this trickles into the quality that his customers have come to expect. 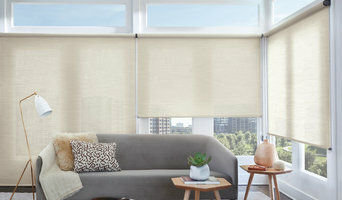 *Hunter Douglas Authorized Dealer* RAR Window Treatment carries the full selection of Hunter Douglas shades, sheers, shutters and blinds - and nothing else, since Hunter Douglas offers the best products in the market. All Hunter Douglas window treatments come with a Lifetime Warranty. Their products are something you can always count on for quality and long-lasting durability. We have been proudly serving the Washington, Maryland and Virginia areas for over twenty years. 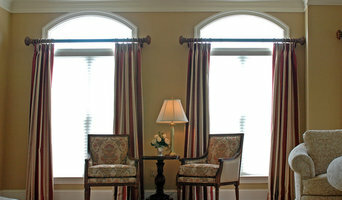 Our knowledgeable and friendly professionals will coordinate your window treatment project from start to finish. Contact us today to get started with your project!